We Offer 24/7 service for your water boiler that you will ever need. 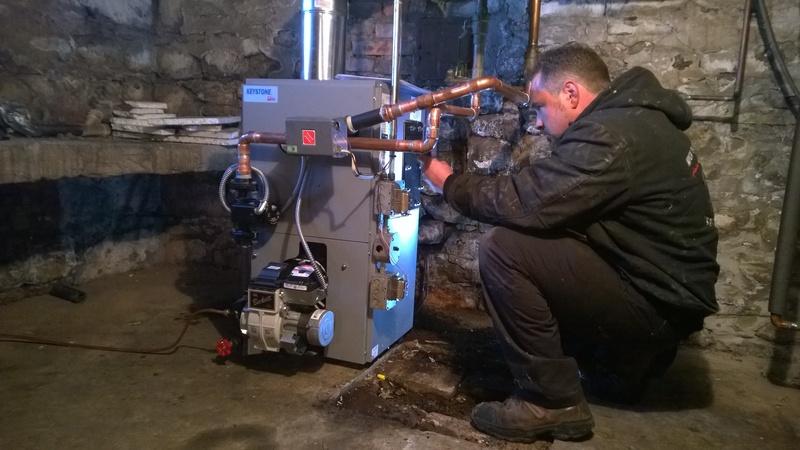 Whether it is boiler installation, boiler repair, boiler maintenance or boiler service, as our name suggests, we ensure quality performance in addition to precision and accuracy when working on your Boiler in Rochester NY. We guarantee your boiler repair for a full Year! Which Boiler Brand is Best? In today’s highly competitive market, it’s difficult to tell a good boiler brand from a bad one. Because we value your needs as well as your savings, we select only the best boiler brands for you that preserve energy and effectively warm your home. However, given our years of experience, we do service all boiler brands, from outdated models no longer on the market to the most recent makes. When You choose us for installation of your boiler, we’ll save you money on energy bills without comprising on quality and comfort. Our technicians, some of the most prestigious workers in the city, offer quality service for boiler repair. When minor boiler problems aren’t handled correctly, they can become expensive problems. Our expert technicians patiently analyze the condition of your boiler so they can perform correct repairs at your first call. We diligently strive to prevent any repeat visits so your boiler can function at its highest potential after our first visit. Our qualified professionals provide a fair assessment of your boiler–what’s its condition? What’s its remaining life? They meticulously inspect it for any needed repairs or replacements. We maintain high standards when it comes to repair work, keeping within the standard rules and regulations outlined by industry law. Gary….great friend and Tech. 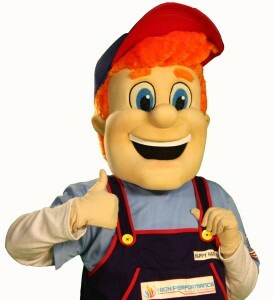 Has been with us for 15 years working with boilers. Our emergency service for boiler repair is available 24-7! Share any concerns with us, no matter the time of day. Your comfort is our priority! Enjoy Your Warm Home During Rochester’s Blistering Cold Winters. Making sure your Boiler system operates safely and efficiently in Rochester’s cold winters should be a top priority. The best thing you can do is to schedule a professional Boiler maintenance service in the fall, but even if you missed that deadline, it’s never to late to make sure your Boiler system isn’t going to break down in the middle of the holiday season. Depend on our expert HVAC Technicians to diagnose any problems, educate you on the history of your system, and offer the best possible solutions for your particular situation. Our Professionals will have your Boiler up and running in no time! If any of the above signs apply to your system or if you are unsure about your current Boiler system, give us a call as soon as possible. We can diagnose your problem that very day and save you on more expensive repairs down the road. If your Boiler is older than 20 years and is in constant need of repair, put some serious consideration into replacing it. The high energy bills and repairs are costing you a lot more than you may realize and could be a thing of the past. Your energy bills account for 49% of your total home energy, replacing your system with a High Efficiency Boiler could lower your monthly energy bills substantially. At High Performance Heating & Cooling, we know that boiler problems are never convenient. For this reason, we provide 24/7 emergency boiler repair service. We specialize in boilers, heat pumps, hydronic heating and underfloor heating. No matter what heating system you have, count on us to make the necessary repairs quickly and efficiently. 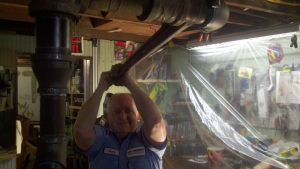 Our licensed HVAC technicians are trained to service any heating system you may have. 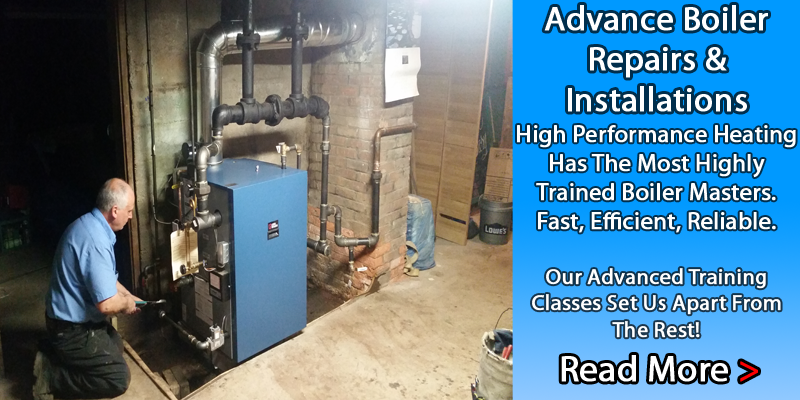 Our technicians also recieve weekly training to stay up to date on the latest technology and HVAC advances so we can provide you with the highest, most efficient service in Rochester, NY. Our licensed, expert technicians can repair every type of Boiler, no matter what system or fuel source. Call today to ensure your warranties stay in effect and that you have reliable and efficient heating all year long. Getting a energy efficient boiler is a great way to save money..